P&G has new coupons available via their Smartsource coupon portal! 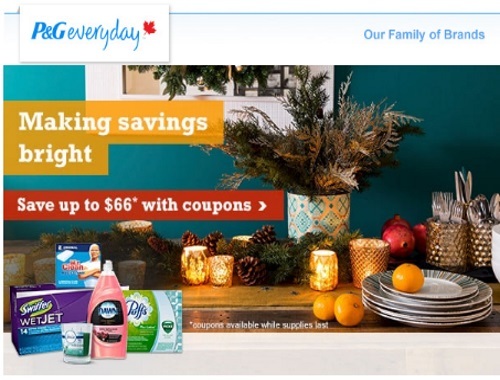 Save up to $66 with coupons from the P&G family of brands! Click here to view the P&G coupons.